Gorilla is a full service post production house specialising in broadcast media and film. 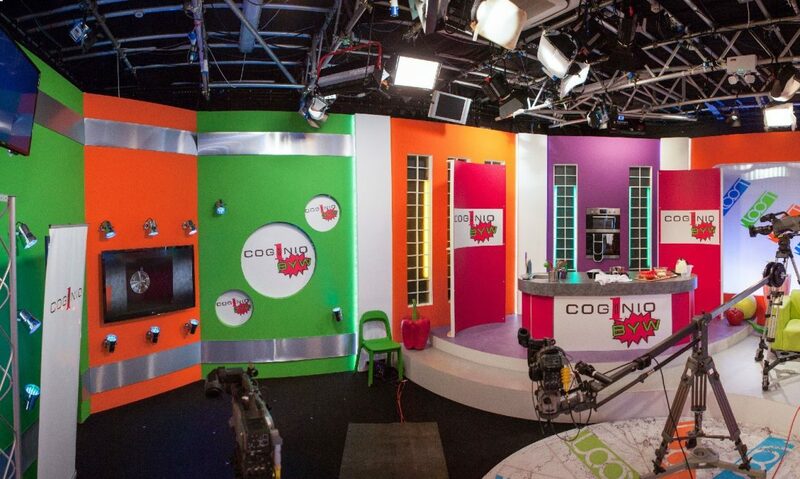 The company were looking for innovative ways to create interactive TV programmes allowing for audience participation, specifically within the children’s programming genre for Welsh language broadcaster S4C. The company had the means to obtain videos and to setup phone quizzes but also wished to interact with young viewers via audio and video. When a contestant was dialing in from home and the quality of the Internet connection was poor – a common issue in rural Wales – the production company would need to send its satellite truck. However, the data transmissions were costly. Gorilla was one of the first users of the Quicklink TX. The Skype TX powered software solution enables professional reception and transmission of Skype video calls through an SDI and HDMI interface. This provides broadcasters like Gorilla with unrivalled access to millions of connected Skype users. The Quicklink TX comes complete with the Skype TX controller. Incorporating the Quicklink TX has also given the studio the ability to use the free software called Bondio. 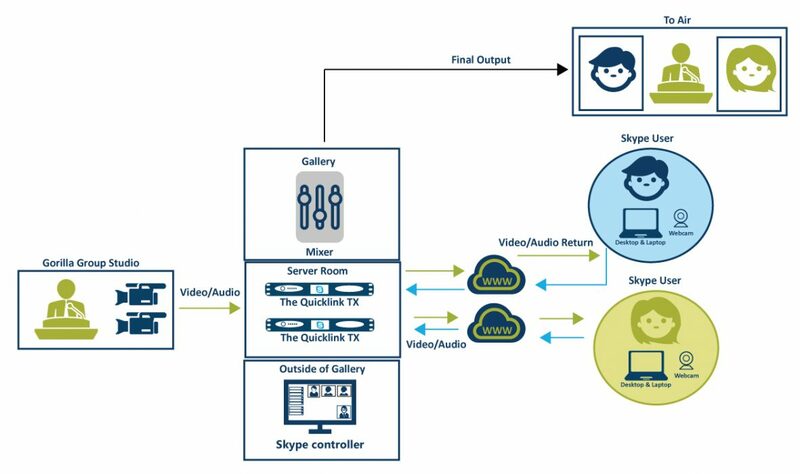 This enables the remote Skype caller to increase their network bandwidth speed, guaranteeing a more reliable connection for an improved quality video/audio transmission.The Quicklink TX units are situated in the server room. And the Skype controller software is on a production PC where a member of the technical crew will call, control the participants and put them on air once instructed through the talkback. “We definitely see the Quicklink TX being used in more programmes, in capacities other than children’s programming in the future. It can be used for any genre – I don’t see us being limited in terms of its use”.